For Swiss Canadian artist Nici Jost, pink is more than a color a trend or a phase – it is a principle that has dominated all parts of her artistic and private life for the last 17 years. 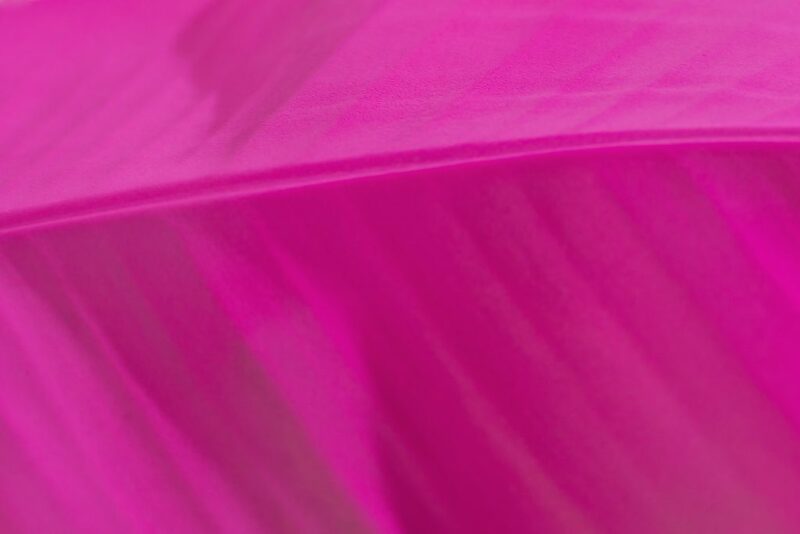 Pink is a highly complex, controversial and multi-facetted color. Associations range from delicacy, femininity, tenderness, youth, beauty, sweetness and naturalism to artificiality, kitsch, cheapness and trash. Pink can disturb, it provokes disrespect and ridicule, it can offend and disgust. At the same time, it has become one of the most used, debated and exploited colors in recent artistic discourse. Many artists and curators have been capitalizing on this “pink trend”. While the use of pink in art was always belittled and considered kitsch, something that Nici Jost has experienced throughout her life and artistic career, this recent trend has made pink into a lifestyle, disregarding its political and deeply personal dimensions. Balzer Projects is pleased to host an exhibition in which Nici Jost presents her complex, research-based exploration of the color, while at the same time critiquing and questioning this “pink trend”. The most obvious and striking element in the exhibition is the fact that the gallery will be turned into “Pink”. This spatial and atmospheric transformation is part of Jost’s artistic strategy. The gallery is covered in different hues of pink, such as “Bloc- and Cell Pink”. The visitor to the space is at once immersed in a pink environment and can explore his/her own reaction to this experience. Furthermore, Jost’s own Pink Colour System will be introduced. This research-based project spanning over several years, systematically organizes and categorizes special shades and hues of pink in their historical, psychological, cultural, religious and political meaning. The proposed display presents the ten shades of pink on Japanese paper, with a small text rooting the various shades in its respective theoretical and historical backgrounds. The work re_search is composed of Jost’s collected documents and newspaper articles from almost two decades about the color pink. Ironically, the work no longer reflects the information or the color it once described. The documents have been turned into pulp in a paper mill and repurposed and recast into sheets of handcrafted F4 sized paper. The viewer is now left with whitish, hand-crafted recycled documents containing the information they once held. The size of the paper, F4 or “world format”, mimics that of most billboards, alluding to another one of Jost’s themes – consumption. Her most recent and ongoing project recasts her (former) entire pink wardrobe, recycled and repurposed into a pink book. Nici Jost graduated with an MFA from the FHNW/HGK (Basel) in 2016. In 2015, she received the “Werkbeitrag” (project award) of the Kuratorium Kanton Aargau and was awarded a substantial book grant (2017) to publish her first comprehensive catalogue. She received the prestigious Swatch Art Peace Hotel Residency in Shanghai, which she will begin in February 2018. Her work has been shown widely in Switzerland and abroad, as well as having her photographs and installations incorporated in prestigious private and public collections in Switzerland, Germany, United States, Mexico and Belgium. “In the year 2000 I started collecting Pink, motivated by a personal attraction to the colour. Later, during my art studies, I began to realize and experience the emotional potential of this colour. It could irritate people, make them feel very emotional and affected them in ways that I had never imagined possible. I began to study the nature of pink in more depth. More than ten years later, the colour is not only omnipresent in my work, but it has also become an intricate part of my life.